← A Letter from Senator Ted Cruz to the Pearland TEA Party! 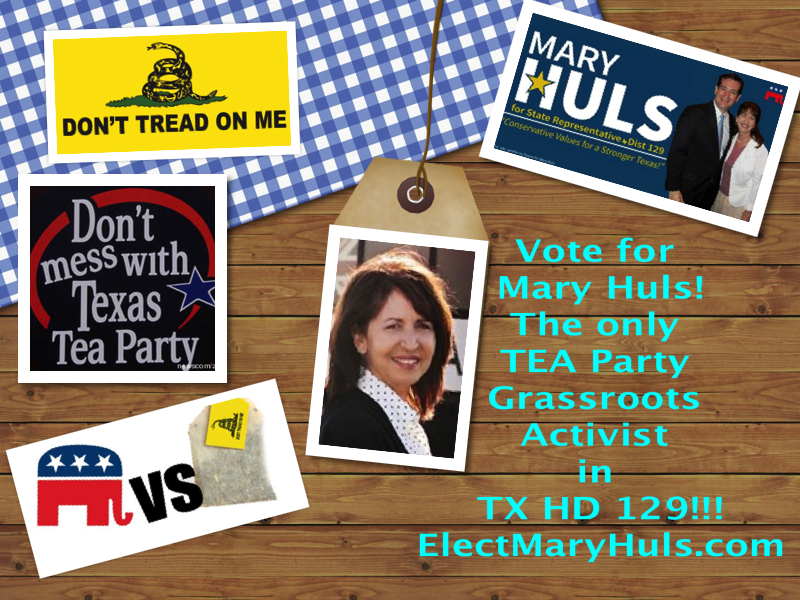 Vote for Mary Huls for TX State Representative HD 129. The only TEA Party Grassroots Candidate! This entry was posted in Clear Lake TEA Party, Mary Huls, Pearland TEA Party, TEA Party. Bookmark the permalink.